Mark Johnston claims the device was stolen from the library at Aberdeen University. 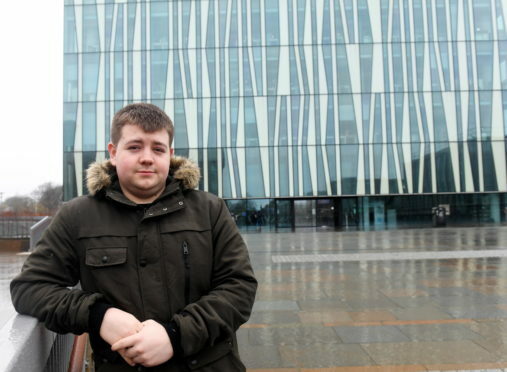 A north-east student who whose university studies were thrown into chaos when his laptop – containing his dissertation – was stolen has been granted an extension. Mark Johnston from Peterhead has been without his Macbook since it was taken from the Sir Duncan Rice Library last month. The device contained the 22-year-old Robert Gordon University student’s 10,000 word thesis, which is a vital part of his mechanical engineering degree. 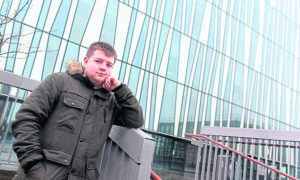 He was dismayed to see it lost after his disastrous visit to Aberdeen University, but charitable further education bosses have decided to give Mr Johnston more time to complete his final piece of coursework. It now has been handed in by Tuesday April 23. Mr Johnston said theft of his laptop and the loss of the majority of his work had proved stressful. He had to turn to his doctor for help to come to terms with the blow and following that intervention was granted more time to finish his dissertation. Mr Johnston said: “The stress was getting too much. “I was able to get an appointment to see a GP and he gave me a prescription and wrote me a sick line for work. Mark Johnston had his Macbook stolen. The laptop was left while Mr Johnston went to get some fresh air on March 29. When he returned the device was gone and sadly nothing came up when security staff checked CCTV. The next day Mr Johnston received an alert that the laptop had been used at Union Square in Aberdeen, but sadly it was not recovered. Following the theft, Aberdeen University urged students not to leave their personal belongings unattended. A spokesman said: “We were really disappointed to hear about this incident and our sympathies go out to Mark. Police said their investigation into the apparent theft was continuing. Mr Johnston has asked for anyone with information about the laptop to email him at m600detail@gmail.com.